Looking for some last minute sign-ups! Use Promo code "SS19" to save $50 off per team and $15 off per individual!!! Spring Tuesday Coed 7v7 - Downtown! Friday Coed Softball @ Citizen's Park! 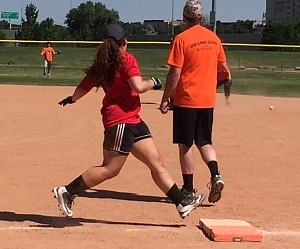 Sunday Coed Softball @ Citizen's Park! Wednesday Men's Flag Football @ DSGP! Saturday Men's Rec Basketball @ DU! 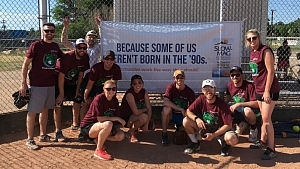 Nobody runs a better softball league than Sports Monster! 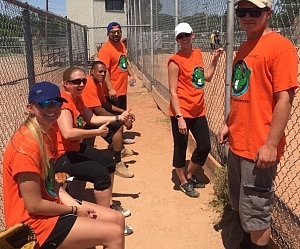 We do our best to make every softball league competitive for you, so no matter if you're new to the game, or a seasoned vet, we've got a league for you. 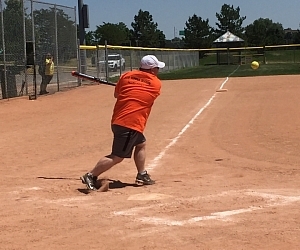 Our recreational leagues are all about having fun. Most players are familiar with the game and have played before, but young and old alike enjoy this division. Strikezones are liberal to encourage swinging the bat and games are typically high scoring. League champions receive a choice of t-shirts, trophy, $100 bar tab, or $100 off a future registration.